I have been smitten with floral denim/pants since they made their debut back in early spring. Well, maybe even before then if you count the ones I had when I was a kid. I owned a pair with flowers AND flamingos. Mom picked those bad boys up at Weiner's. Anyone out there remember that store and it's wretched smell? Anyway, I just couldn't seem to find a pair that did not accentuate my muffin tops, look like they were painted on and didn't cost an arm and a leg. I am pretty sure positive that floral pants are a short-lived trend, so I didn't want to spend more than $40 on a pair. I know, you probably think I am cheap, but I prefer to refer it as being budget conscious. I had all but given up. I couldn't find any that fit my budget, fit my body or fit my taste. And another requirement is that the floral had to be subtle. Is there such a thing as subtle floral pants? Just when I least expected it and removed this desire from my mind, a cute pair appeared out of nowhere at the greatest store on the planet...TARGET! Yes, you read right. I found them at the one and only Tar-jay. Guess how much they cost. Are you ready for this steal of a deal...$20! I know, I couldn't believe it either. I did not set my hopes too high because I thought they would be like all the rest...not worthy. But, ladies, these are more than worthy. They fit perfectly, are light weight (it's HOT here), hide my muffins and give me room to breathe! Hallelujah! I can't wait to style them with my riding boots and a big sweater. Or with a blazer and flats. Or with a tank and flip flops in the spring. Yep, I think these could possibly be a staple. I am sure I will look back at this blog one day and say to myself, "What the hell were you thinking wearing those God awful pants." But, right here, right now I like them. I like them a lot. So, what do you think about the floral pant trend? Is it too far out of the norm for you? Or are you taking the risk and running with it? Happy Labor Day Weekend! Be safe and have fun! 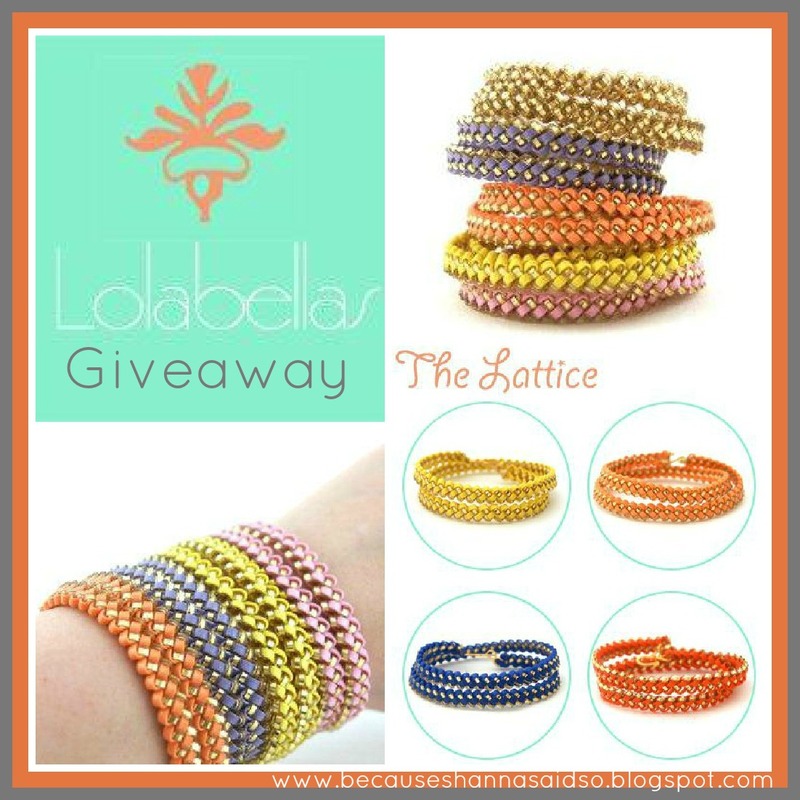 Click here to enter the latest blog giveaway! Before I introduce you to one of the most FABULOUS, SWEETEST, GORGEOUS ladies I have met through blogging, I have to share with you an aspiring, up and coming artist. Are you ready for this masterpiece? "No, Momma, I drew a picture of you." Ohhhhhh, how did I not see that? 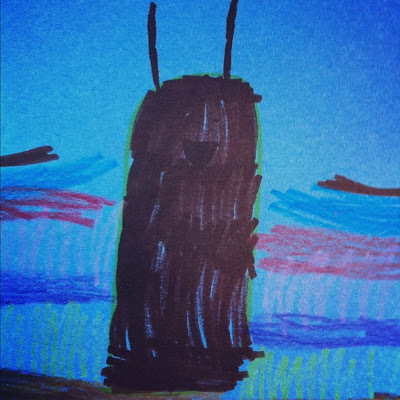 It looks just like me...an alien turd. There's a smile for your day. You're welcome. Okay, now onto one of my lady loves. To put it simply, she rocks. and has a GIVEAWAY just for you! Get to know her. You will love her too! Hi everyone!! 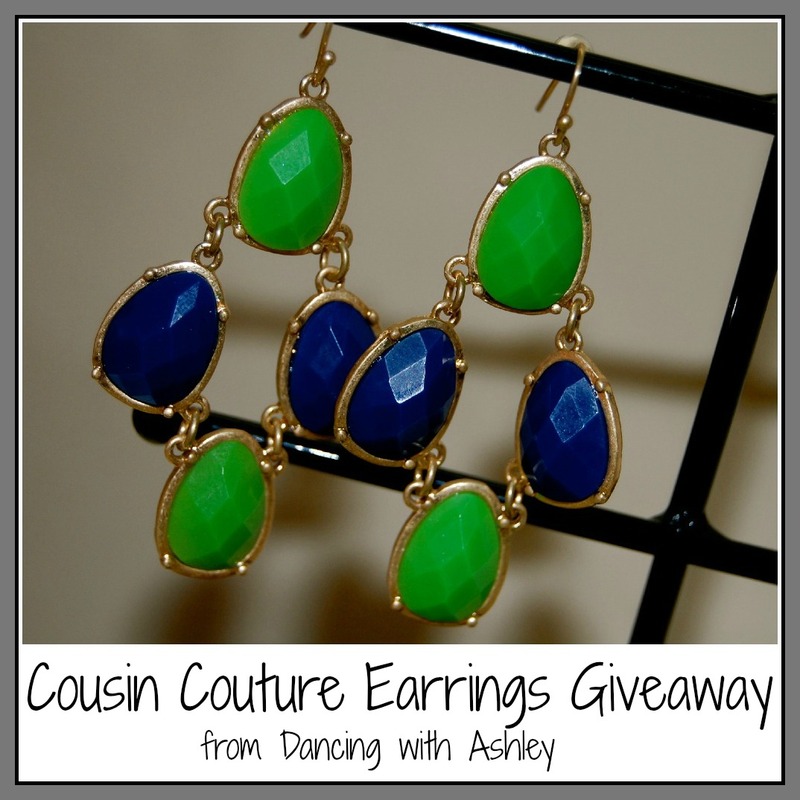 I'm Ashley from Dancing with Ashley. And here are 5 things that you just might not know about me. 1. I've always wanted to be a Rockette. Sadly, I'm a shrimp and not tall enough for the gig. Instead, I trained in classical ballet and still teach it today. You can read more about that here. 2. I'm obsessed with Sarah Jessica Parker. Like, really. If I ever saw her in real life I would scream, run in the opposite direction, and start convulsing. The obsession is that serious. 3. I get sad at least once a week that Harry Potter is over. It's sad, right? I had to get Charlie, my 2 year old, involved before the big premiere last year....I HAD to!! 4. 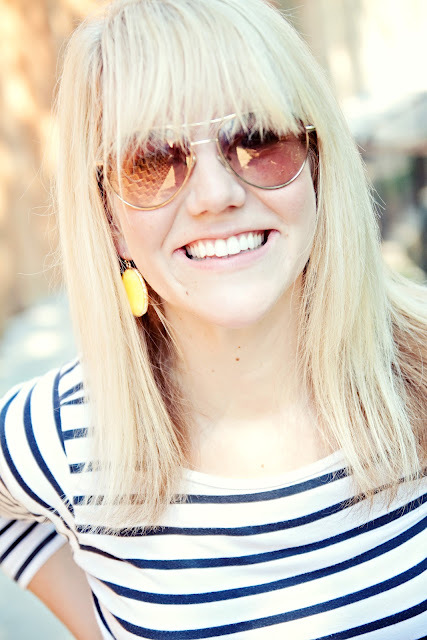 My summer style has consisted of polka dots, polka dots, and MORE polka dots...I can't get enough. Proof here, here, and here. I hope you love earrings just as much as I do, because I'm giving one lucky reader this fabulous pair from Cousin Couture!! Leopard, oh how I love thee! it is an ongoing joke between us when it comes to me and leopard. Let's just say, I am was "that" girl. That girl that may or may not have worn a leopard top with matching leopard pants. I may or may not have pictures to prove it. It may or may not show up on the blog one day. Enough about that, back to leopard. It's back (did it ever leave), it's everywhere and I couldn't be happier. In my humble opinion, leopard is a print that is timeless. Disagree? I am ready for a friendly debate. a cast member of Jersey Shores. Promise. the reason so many women steer clear of it. Don't mix with other patterns or other leopard. It's a stand alone print. Keep accessories to a minimum and pair with solid colors. 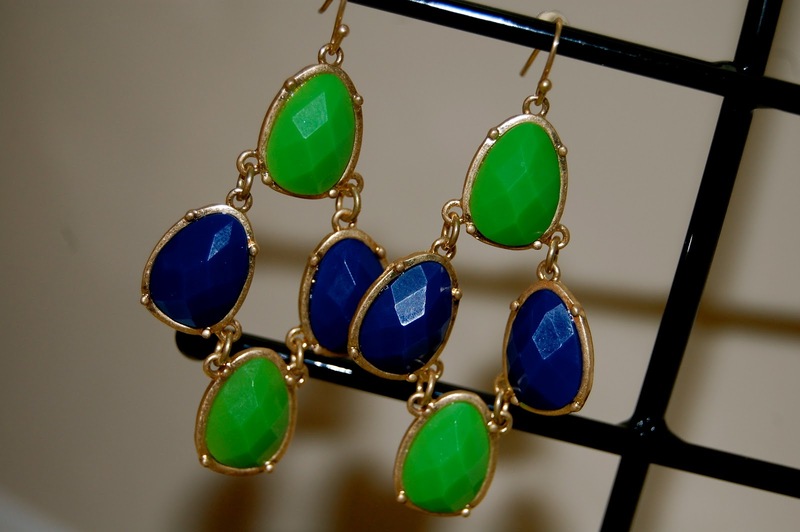 Keep it simple and make it your statement piece. So, are you a leopard friend or foe? Any pieces you are lusting over this season? I have a few more items on my wish list. 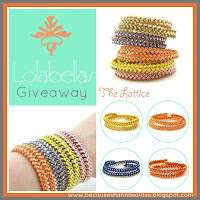 Don't forget to enter the Lolabellas bracelet giveaway! her FREE Mario Badescu samples. 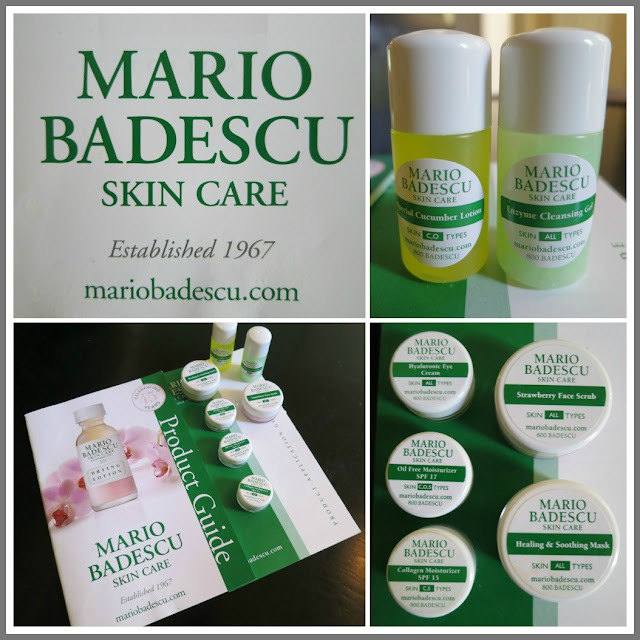 Skin Care + Free + Mario Badescu = I AM ON IT! I have a borderline obsession with trying quality skin care products that help with aging and/or acne because let's face it, I am not getting any younger, the wrinkles have landed and I have acne prone skin. I hopped on their website just as fast as my little fingers could type. All you have to do is go here and fill out a quick questionnaire about your skin type. Then, in about a week, you will be shipped all of this...for FREE. from what I have seen, the company pretty much sends out the same samples to everyone. My two favorites are the healing and soothing mask and the strawberry facial scrub. The mask really helps calm irritation and redness from breakouts. The strawberry scrub is an excellent exfoliant and smells delicious. I realize that there are a gazillion skin care lines out there. Believe me, I feel like I have tried them all. I will tell you, that Mario Badescu is one of the best I have found. they have seriously saved my life. Okay, maybe not my life, but my self confidence! Here are two that I can't live without. They can be found online or at your local Ulta Store. This stuff is magical. Just dip a Q-tip into the bottle and spot treat anywhere on your face or body. It WILL quickly, almost overnight, reduce large and small breakout areas. It contains calamine which is also great for taking the itch out of mosquito bites. It's been a lifesaver for us this summer. I tend to get large cystic acne on my face and this formula was created specifically for that. It's fast adsorbing and has anti-inflammatory ingredients to promote fast healing. Have you tried any Mario Badescu products? If so, which ones are your favorites? What are you waiting for? Go sign up for your free samples. We all love a few freebies! I am not getting paid or receiving additional products for this post. Everything written is my own personal opinion and experience. We officially and tearfully have said our goodbyes to summer and geared up to say hello to a new school year. My little muffin children started back to school today. Logan is starting second grade and Landry begins her final year of Pre-K. As you are reading this, I am probably wiping away proud mommy tears. It's back to schedules, routines, homework, early bedtimes and even earlier mornings. It's always a HUGE adjustment for us all, but I am looking forward to getting back into the swing of things and excited to see what this school year has in store for us all. We had school supply drop off night at Logan's school. We already love her because she is a fellow Texas State Bobcat. I will say, I am starting to feel OLD because this is the first time the teacher is YOUNGER than me. UGH. Of course we had to fulfill our Mexican food fix after we finished at school. It's the only way to kick off the weekend in our house. 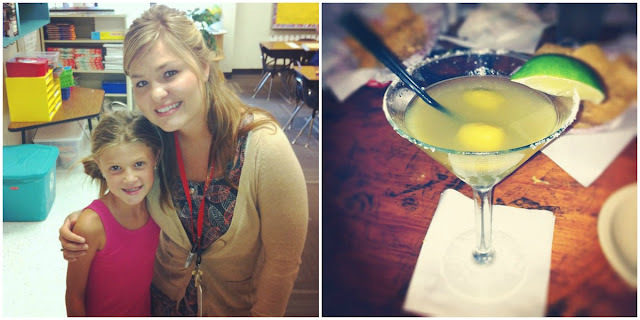 And you can't eat Mexican food without a Texas martini or marg. My girls and I did a little last minute shopping. This is what I wore. It's an old one from Forever 21 that I almost got rid of when I cleaned out my closet last weekend. We rekindled our relationship and happy for it. 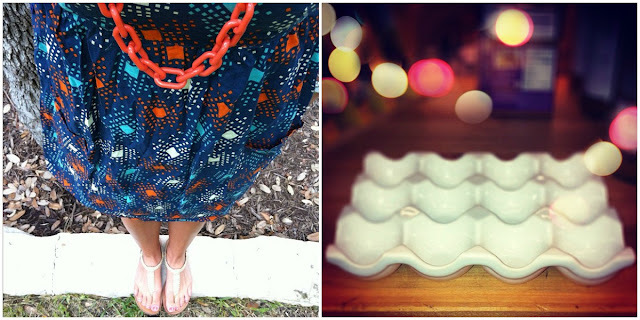 The ceramic egg crate you see above is an Anthropologie knock-off from World Market for $5.99. These have been floating around the blog world for quite some time. They are perfect for organizing your small jewelry pieces. My studs and rings did a happy dance. Thanks, Landi, for telling me that World Market carried them! 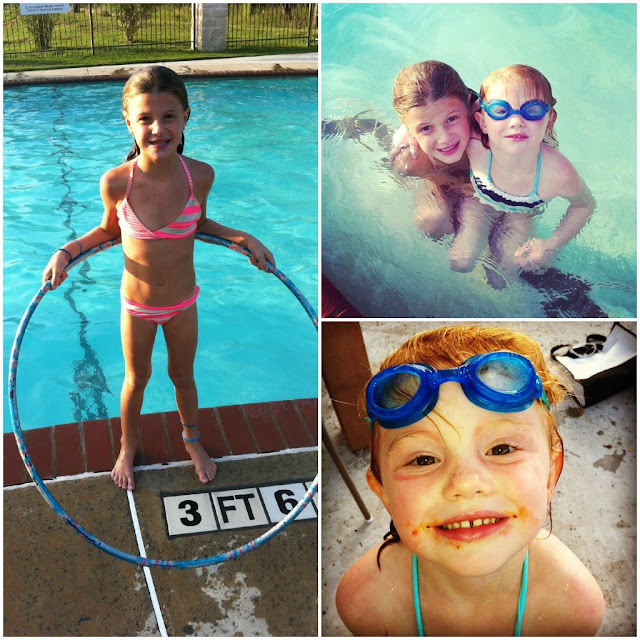 We hit up the pool for a neighborhood birthday and back to school celebration. Who can guess what we had for dinner? Hint...look at Landry's cheeks! Can we all say, "HOT MESS"? Yes, she is our Sparkle Monkey! We spent all Sunday as a family. 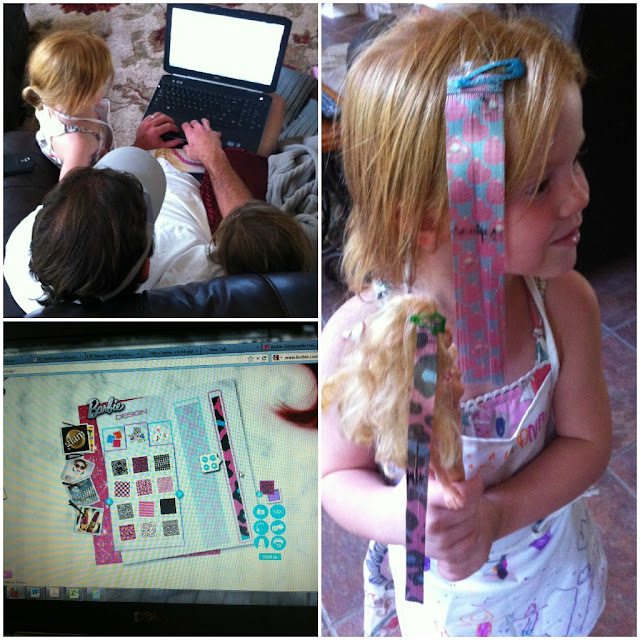 Ross took the reigns and helped the girls with their designs while I sat back and snapped up the pictures. I couldn't stop smiling as I listened to him suggest which hair pattens he thought were the cutest. I love this man! Excuse the indecent Barbie that Landry is holding. FYI, every single Barbie in our house looks like this. I give up. 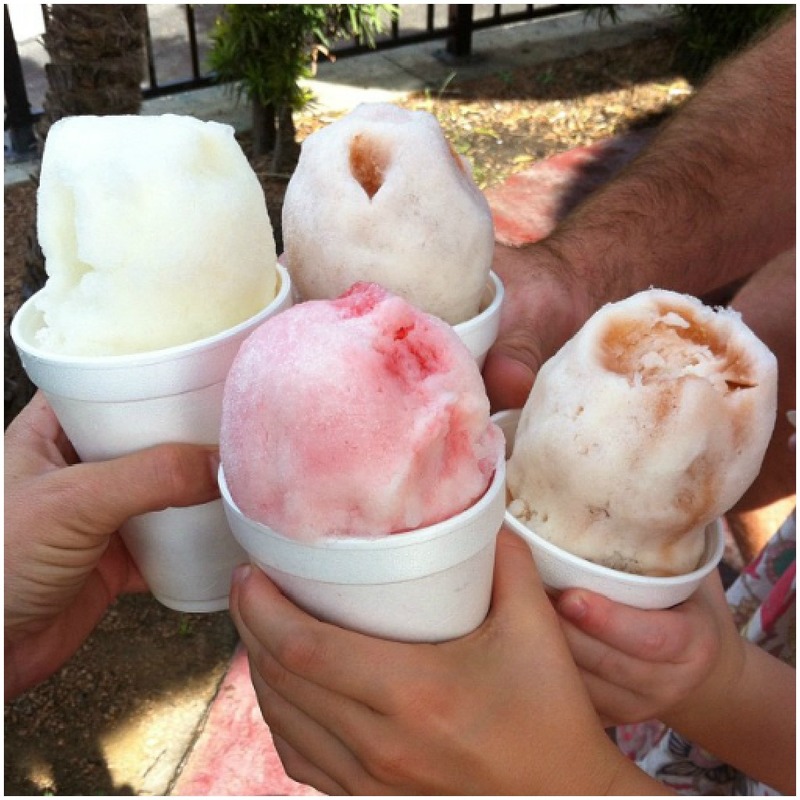 I can't think of a better way send off the summer than with a family snow cone cheers! So, sayonara dog days of summer. It's been real and a whole lot of fun. See you in 272 days!